The Total Eclipse 500 or Total Eclipse was launched on March 29, 2010 by Eclipse Aerospace after their acquisition of Eclipse Aviation's assets and completion of promised capabilities for the Eclipse 500. The Total Eclipse 500 is a factory refurbishment program offered by Eclipse Aerospace. 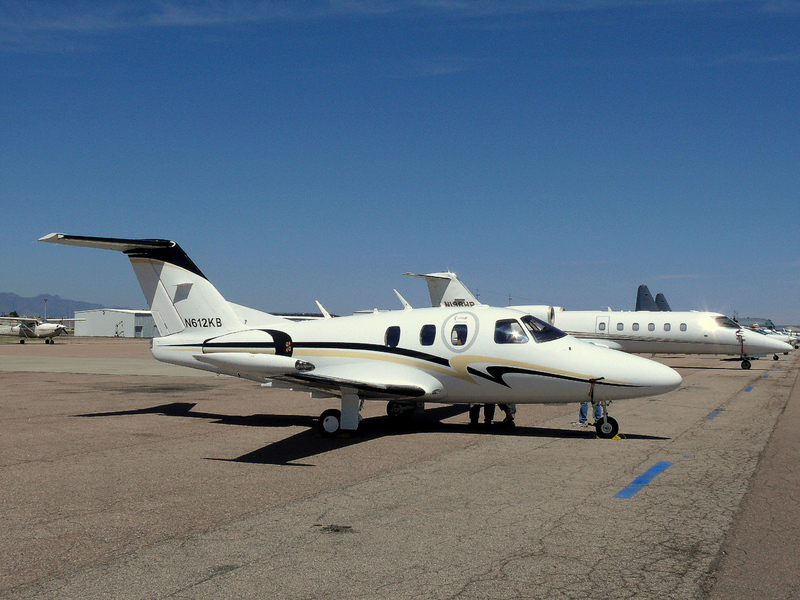 The Total Eclipse 500, officially called the Total Eclipse, is an Eclipse 500 aircraft that is upgraded and retrofitted with new equipment by Eclipse Aerospace. The aircraft that are apart of the Total Eclipse program are near new aircraft with low to no time on the airframe. Most of the aircraft that are available, are aircraft that the old Eclipse Aviation was not able to complete before shutting down. The Total Eclipse 500 has all the promised capabilities that the original Eclipse 500 was supposed to have. All Total Eclipse 500s are certified up to 41,000 feet and are flight into known icing conditions (FIKI) certified. The Total Eclipse also has a completed cockpit with the new AVIO IFMS avionics, that provides advanced functionality and stability to the Eclipse 500. The Total Eclipse 500 interior is also upgraded from the original design that original Eclipse 500s have. On August 12, 2013 announced that a "Safety Enhancement Package" (SEP) was available for all Eclipse 500 jets. This package allows all Eclipse 500 jet, including the Total Eclipse 500, to have all the features that the new Eclipse 550 has. The new features include and upgraded Avio IFMS system with a standby display, improved software and the ability to display full size charts on the multi-function display. Anti-Skid Brakes and Auto Throttles are also included in the package. Photo of a Eclipse 500, featured above. The Total Eclipse 500 price was originally $2,150,000 USD. As of 12/1/2013 the price is $2,250,000 USD. This is an increase of $100,000 or 4.65% from the original price. Current Eclipse 500 are also eligible for the upgrades that the Total Eclipse has. For more information on the Total Eclipse 500, visit the other Eclipse 500 pages on our website. You can also view information on the Eclipse 550, the new version of the Eclipse 500 that is in production. Visit our Eclipse 550 pages to learn more.